I visited Birmingham at the weekend and though it wasn't a photography trip, and though the weather was wet and miserable, I did take a few photos. These were taken in Centenary Square and show the new Birmingham Library, and the Birmingham Wheel. The Library of Birmingham is a public library in Birmingham. It is situated on the west side of the city centre at Centenary Square, beside the Birmingham Rep (to which it connects, and with which it shares some facilities) and Baskerville House. 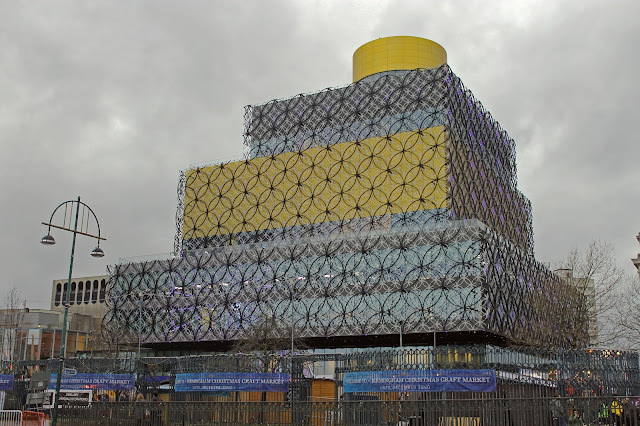 Upon opening on 3 September 2013, it replaced Birmingham Central Library. The library, which is estimated to have cost £188.8 million, is viewed by the Birmingham City Council as a flagship project for the city's redevelopment. It has been described as the largest public library in the United Kingdom, the largest public cultural space in Europe, and the largest regional library in Europe.2,414,860 million visitors came to the library in 2014 making it the 10th most popular visitor attraction in the UK. 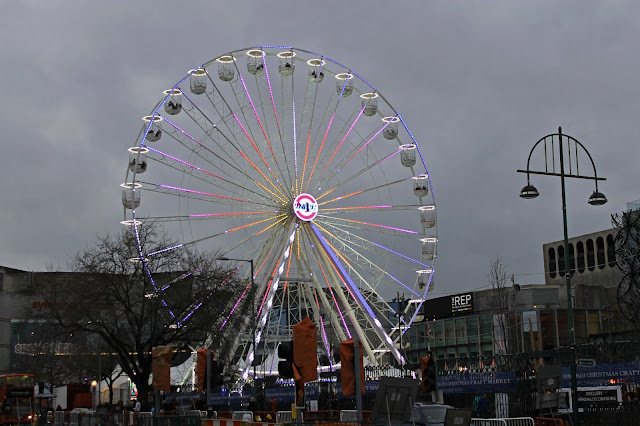 The Birmingham Wheel in Centenary Square, Birmingham at dusk. 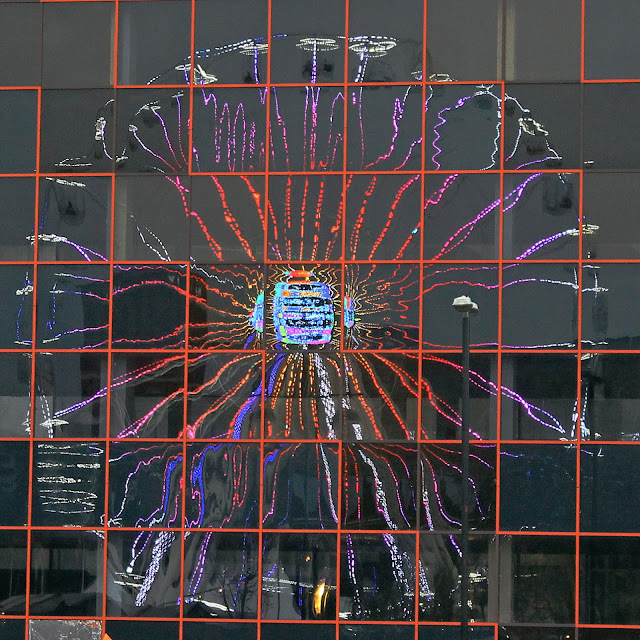 Reflections of the Birmingham Wheel through a glass fronted office block.